Trouble seeing this email? Click here. We're turning 12 years old! If you cannot make it to our party this coming Saturday, March 30th, do not worry! We're offering the same discount to everyone who needs to get their wine shipped, as well as a deal on shipping! Take an extra 12% off on top of your current wine club discount! That's up to 52% off for some members! All shipping will be a flat rate of $12, but if you buy a case (12 bottles), we'll ship it for $0.12! PLEASE email us or call us to take advantage of our only sale of the year! This offer is valid this weekend only! All orders will ship out the week of April 8th, but let us know if you need to make other arrangements. Need a place to stay? 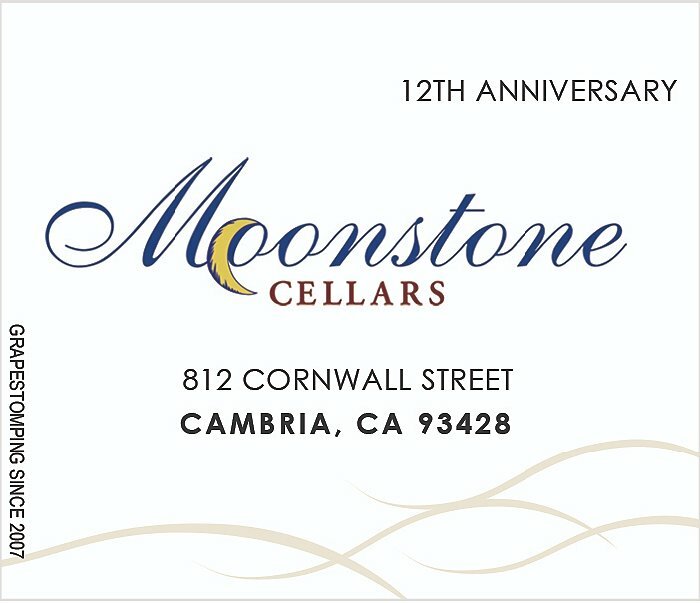 Stay with us in the Chateau over Moonstone Cellars! Check our page about the Chateau, and email us to check availability! Not a club member? Click here to join today!